Product categories of Railway Jack, we are specialized manufacturers from China, Railway Jack, Car Track Jack Tool suppliers/factory, wholesale high-quality products of Hydraulic Railway R & D and manufacturing, we have the perfect after-sales service and technical support. Look forward to your cooperation! 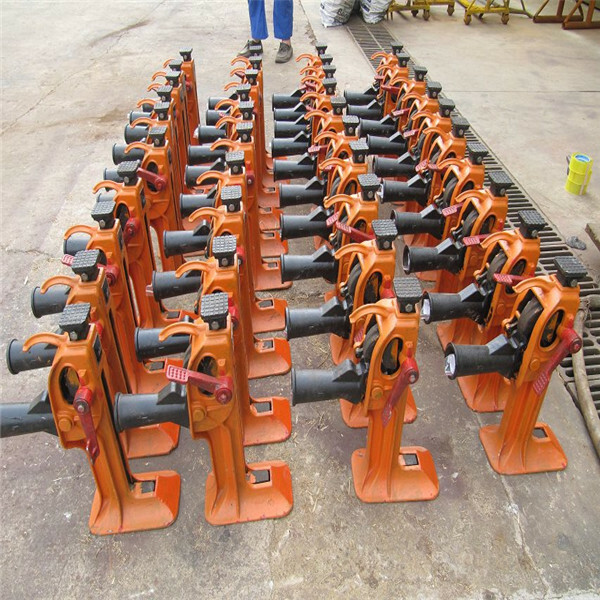 Mechanical railway Jack, hydraulic rail jack, steel rail jack is safely employed in railway relaying, maintenance, cargo loading-unloading, machinery & bridge installation and hoisting operations. railway jack have two way to bring it down under load. One is teeth by teeth the other way all of sudden. This Railway Jack product is made of high quality steel, after heat treatment and welding, structure simple, easy operate , durable, high quality is stable, safe and reliable; Top and hook lifting combination, easy to low position operation, is a kind of widely used lifting tool. This Railway Jack operating handle design for 180 degrees of rotation, according to different places, thus changing the Angle is more convenient to use.